There’s nothing more southern than dishes that use buttermilk. Buttermilk biscuits, buttermilk pancakes, buttermilk and corn bread … that’s right, buttermilk and cornbread. 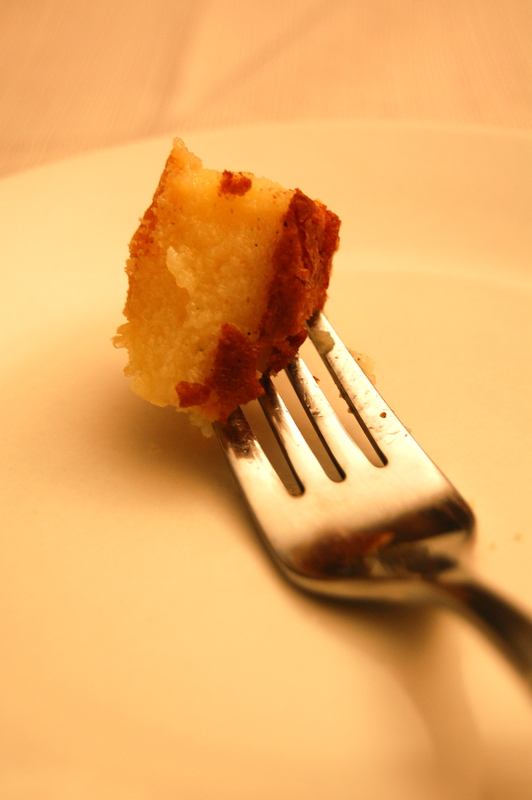 My grandparents (Nanny and PaPa) used to like buttermilk and cornbread (and sometimes sweet milk and cornbread) all mashed together in a glass or bowl and eaten with a spoon. Yuck. I’m not a fan myself, but I am a fan of my Nanny’s buttermilk pie. I just got off the phone from talking to her and she said she thought she should write a cookbook that features buttermilk recipes. I told her it was a great idea! This is my favorite picture of my nanny. I think she looks pretty, but tough. That’s my PaPa holding the gate for her. This picture is appropriately labeled Cowgirl Sue on my computer. 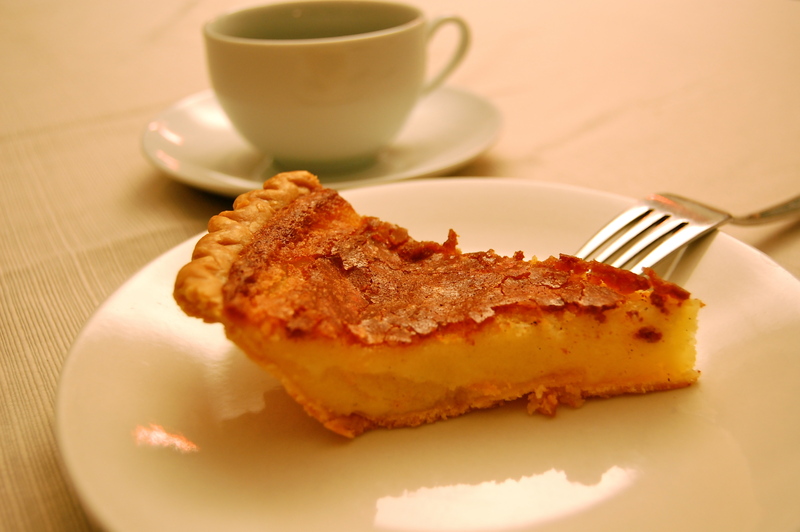 I wasn’t a fan of buttermilk pie until I reached adulthood. When I was a kid I thought it was gross to be honest. Pie made out of buttermilk seemed strange to me. However, last Christmas Nate and I stayed with my Nanny and she served us a slice of buttermilk pie that I absolutely loved. 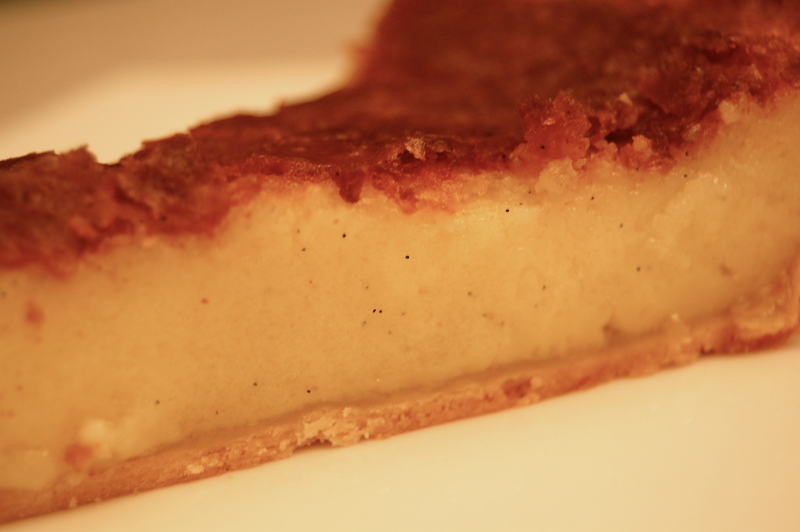 She also uses the base for this buttermilk pie to make bread pudding. While I didn’t care for it as a child, I love it now. I think it’s nice to find out as an adult that you like many of the things you didn’t like as a kid. In fact, Nate recently made mashed potatoes with turnips and we loved them after having a life-long hatred of turnips. On the other hand, that same night, we made macaroni and cheese from a box, which I adored as a child and would have eaten everyday of my youth. To be honest, it wasn’t all that good to me now. So, I guess it works both ways. Noting the fact that we liked the turnips, but no longer like the comfort food of our youth, Nate said: “I think you know you’re getting old when you prefer turnips in your potatoes to some Kraft mac and cheese.” He may be right! I’m sure there are more things I can’t remember. I’m just glad to mature and find out that I do like Buttermilk Pie. 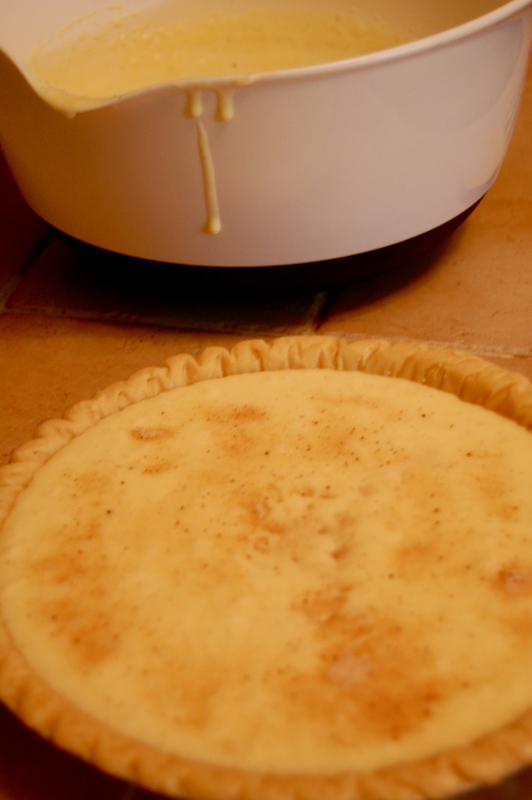 By the way, when I called my grandmother for her recipe for Buttermilk Pie, she gave me the ingredients out of her head and then I adapted some other recipes to make a similar version. She and I agree this is pretty close to how she makes hers. I knew I wanted to add sugar and nutmeg to the top. And, yes, I did use a store bought piecrust. Please don’t judge me. I’m a busy working woman. Please post a comment — what are some foods you like now, but didn’t like as a kid? Bake at 400 degrees for 10 minutes; reduce heat to 350F and bake for 50-60 additional minutes. Pie should turn a nice golden brown and a knife inserted should come out clean. For extra flavor, sprinkle the top with 1 tablespoon of sugar mixed with ½ teaspoon of nutmeg for the last ten minutes of cooking time. If top gets too brown, simply tent with aluminum foil, just make sure the foil isn’t touching the pie. ** Note: I sprinkled the sugar and nutmeg on mine right before I put it in the oven and then tented it about 30 minutes into the cooking time. I also used real vanilla bean for this recipe. You can see the dark flecks of vanilla. Yum. All I want to know is…How in the world did you get to stay in the Stuart family, and not like Cabbage and Chicken & Dumplins??!! I think I should meet with the elders, and talk this over with them. Wait, we are the elders!!!! Oh, never mind! P.S. I was the weird child that ate everything that the other kids wouldn’t! Cheese. (that’s right – hated it as a kid). Still don’t like grits or broccoli. Looking at me you would think there wasn’t any food I didn’t like as a child. I will admit there weren’t many…..buttermilk was a strong one, avocados, eggs, pizza (I remember when it first became popular in these parts, I wasn’t even in school). Was actually in my 40s before I started liking buttermilk and avocados. 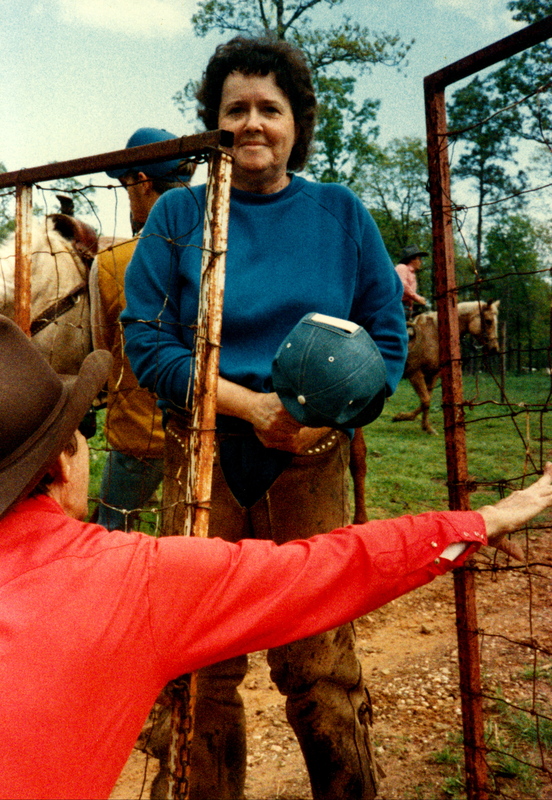 Misti, until I saw this photo of Aunt Sue I never realized how much you do really favor her. Bekki’s favor pie is Buttermilk and I always make it for her at Thanksgiving and Christmas. This year I will use Aunt Sue’s recipe, thank you.